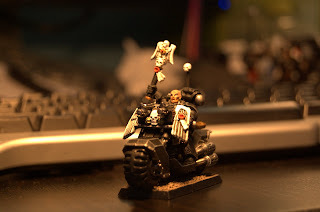 I'm just about finished re-painting this Chaplain on Bike. 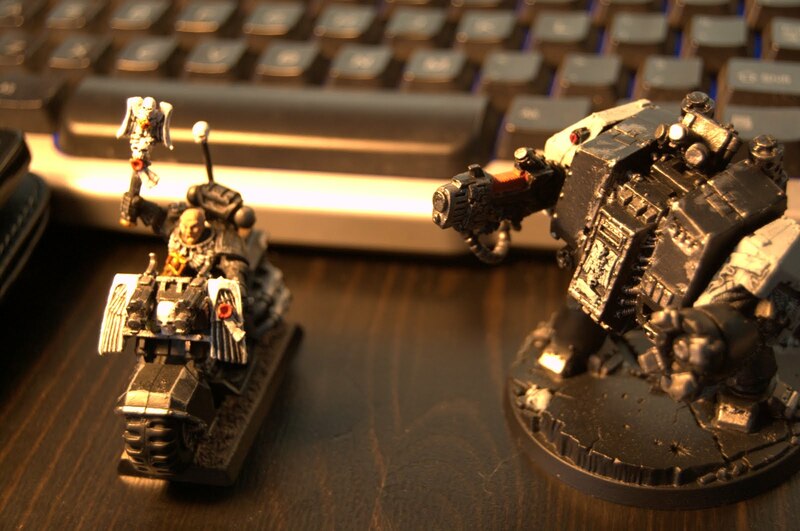 It was originally painted by a friend to go with his Dark Angels army back in the day, so there weren't too many steps involved to make this into a Raven Guard HQ option. You can view more pics of this one here. I don't plan on running this guy until I get the rest of my bike squads assembled and painted, but I was in the mood to do this one after I updated the Librarian. Might as well do all the HQ's, Elites, and work my way down from there. 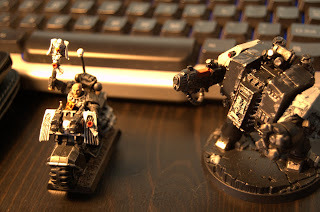 While I was waiting for paint to dry on the Chaplain, I was able to start on the next dreadnought, this one equipped with Plasma Cannon and Dreadnought Close Combat Weapon w/ storm bolter. 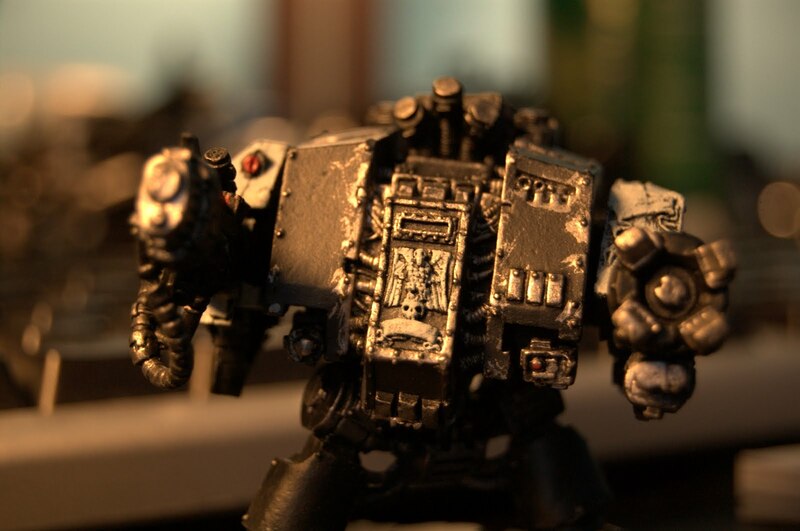 I love this model; it's one of the old metal dreadnoughts and sure has been through a lot in the last 10+ years I've had it in my army. 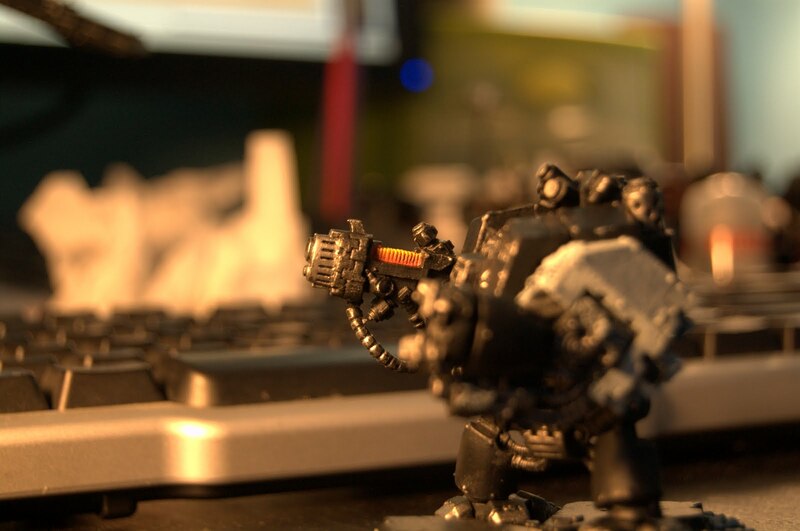 I positioned the legs and torso in a way to make it look as though the mechanized walker was taking a step or in motion. 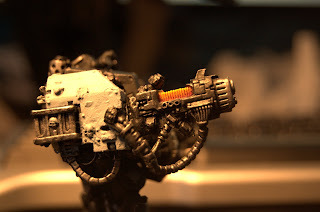 I converted the plasma cannon arm from a devastator blister pack -- back then the dreadnought box set only came with an assault cannon, so there was some metal hacking to be done. I'll have more on this model soon.